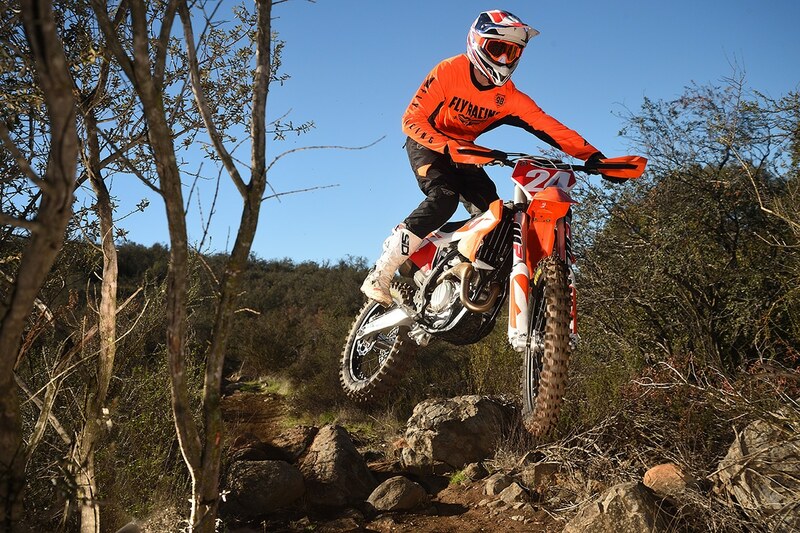 Justin Jones on the 2019 KTM 450XC-F.
We’ve always been a little baffled by the KTM 450XC-F. It’s supposed to be an off-road bike, but it’s almost identical to the 450-SX motocross bike. It’s been like that for years, and now others have followed, creating a whole class of off-road bikes that are much more at home on a motocross course than on any trail or fireroad. With the 2019 KTMs, though, something about the formula has changed. 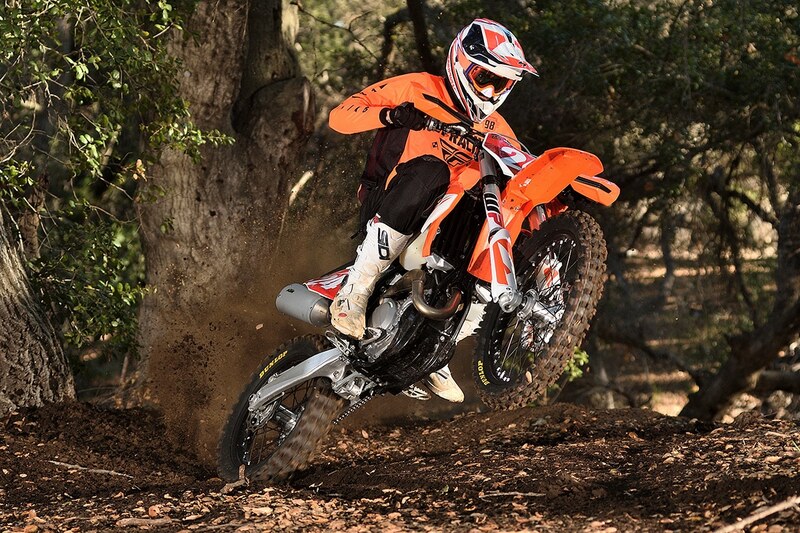 For the first time, the KTM 450XC-F really is a great off-road bike. The 2019 450XC got all the same changes that the new 450SX got. That includes a new head, a new throttle body, a stiffer frame, lower radiators and new body work. As far as the differences between the SX-F and the XC-F, the list hasn’t changed at all. The XC has a larger fuel tank (2.3 gallons vs. 1.8), handguards, a kickstand, different suspension settings and a kickstand. There might also be some mapping differences. The bike still has a handlebar-mounted switch that allows access to two maps, launch mode and traction control. On our scale, the XC weighs 3 pounds more than the SX; 226 pounds without fuel versus 223. So what’s different about this year? It turns out that the KTM 450 motor is much mellower than it used to be. On a dyno, the motor is still a mauler, but the power delivery is much smoother down low. That alone makes it a much better bike on the trail. It doesn’t hit and traction is excellent. By comparison, the Honda CRF450RX off-road bike and the Yamaha YZ450FX are much more abrupt. The Honda and Yamaha might have better suspension for a narrow range of hard, fast trail riders, but that’s the wonder of the KTM’s WP AER 48 air fork. It can be anything you like, soft or stiff. We know, there are people who will never warm up to the concept of an air fork, but in this case, it really makes sense. The XC can do motocross one week end and go trail riding the next. This is still a very racing oriented bike with a loud muffler and no spark arrestor. It has a motocross gearbox. It doesn’t have a headlight, odometer or a fan and it will overheat if you poke around in first gear. But on the trail, it’s a fun bike that works better than it ever has. That’s progress. Check out the full test coming in the May, 2019 print issue of Dirt Bike. This is quite a breakthrough. I’ve wanted to ride one of these for about 30 years, and now we finally have our first Ural test bike. If you don’t know what that is, don’t worry. You aren’t likely to see one at your local riding spot. 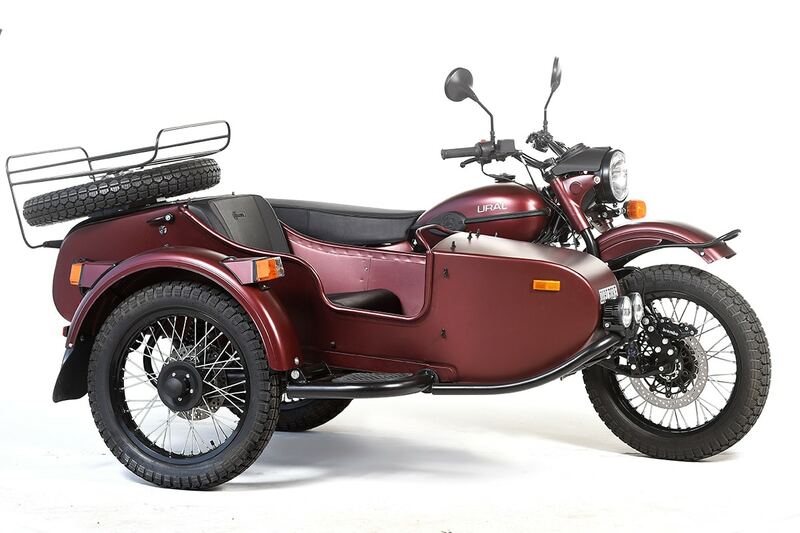 The Ural Gear Up is a Russian-built sidecar motorcycle that was originally based on a 1938 BMW R71. It’s changed a great deal since then, of course. Today, it’s a fuel-injected, overhead valve 750 with Brembo disc brakes and electric start. 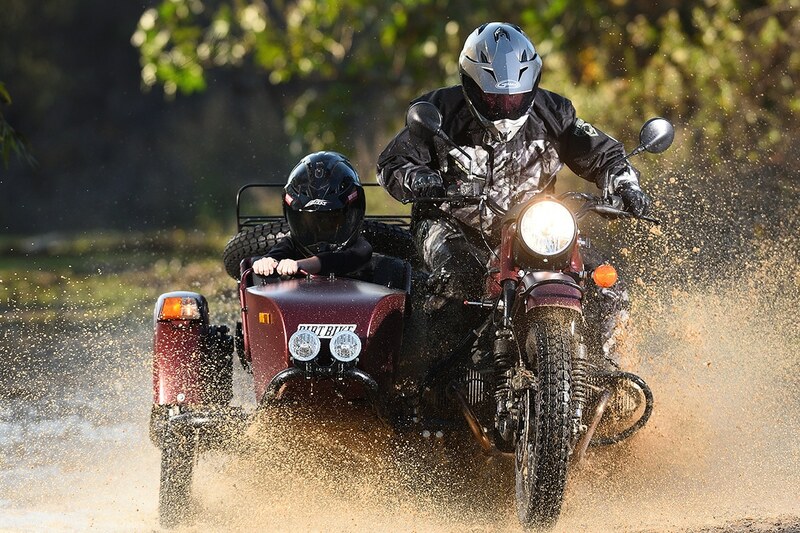 The wild part is that it’s two-wheel drive–you can engage the sidecar wheel wheel. It also has reverse. It’s always more fun when you get to take someone along on your adventure. Some people think it’s a retro bike aimed at retro people who don’t really ride. Not true at all. 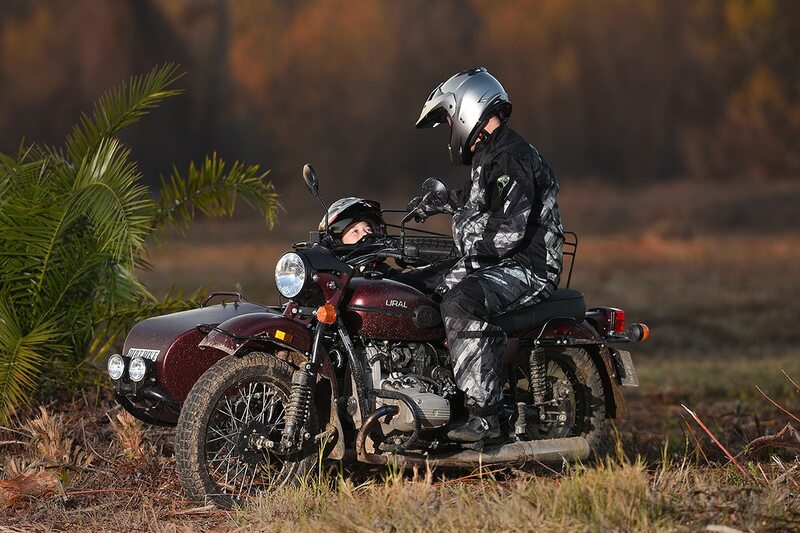 The Ural is probably more practical than any motorcycle we’ve ever tested. First of all, everyone wants to go for a ride. It makes you more popular than a winning lotto ticket. The unspoken cruel truth is that most dirt bikes are inherently selfish objects. We’ve come to accept that over the years, so it startles us when distant friends and extended family members suddenly take interest in what we do. It makes everyone smile, take interest and get involved. The Gear-Up is more of a Willys Jeep than a rally bike. It plods along at its own pace. The good news is that’s it much less likely to get stuck in the sand than a full-size adventure bike. There’s nothing so out of place as a BMW R1200GS in the soft stuff–it’s all you can do to keep the bike upright. The Ural, on the other hand, trucks along without drama or trauma. If it spins, you reach down and engage the sidecar wheel, and nine times out of ten, you’re good to go. With the sidecar wheel engaged, the bike definitely has a sportier feel. It slides around sort of like a little trophy truck, but you have to commit. Once the rear wheels break loose, it’s actually quite predictable and a lot of fun. If the sidecar lifts off the ground, it’s no big deal. Riding the Ural on the road is definitely a different experience. You can’t lean it, so there’s no counter-steering involved. You just point the front wheel where you want to go. It’s even stranger in a straight line. It hunts around, and depending on whether you’re accelerating or braking, it pulls slightly in one direction or the other. The faster you go, the more uncomfortable this can be for the novice sidecar pilot. That’s us, so we stayed off the freeways. We’re loving this bike right now. The full test will be in the May, 2019 print edition of Dirt Bike. To go to Ural’s website, click here. Andrew Short was fifth in this year’s Dakar Rally. Here’s a big shout-out to Andrew Short, who finished the Dakar Rally yesterday in fifth overall and is already on a plane, heading stateside. Rumor has it that he’s going to the WORCS race this weekend in Primm Nevada. If he actually races there, he climbs even higher on my personal hero list. 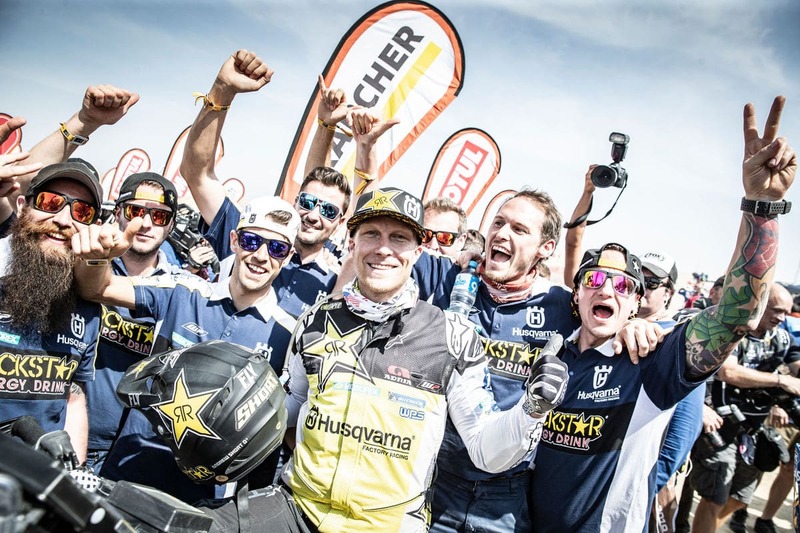 If you missed all the Dakar coverage this week, click here and you can check it out. 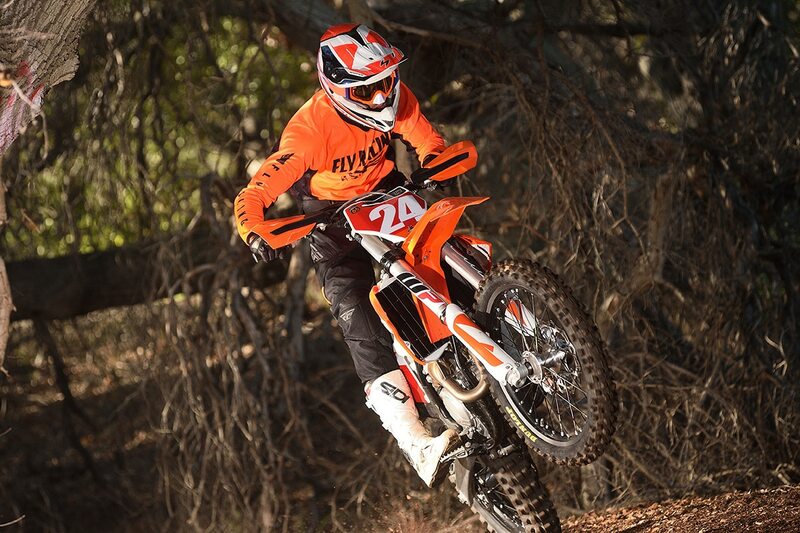 This year the Glen Helen Endurance series has a new presenting sponsor in 3 Bros KTM. It will have three events once more, starting with the Six Hour and March 10th. The dates for the 10-Hour and the 24-Hour have not been set, yet, but they will probably be in June and October, respectively. Click on the flyer to register for the Six-Hour. In a twist of bad planning, there’s too much racing in the Southwest this weekend. Both WORCS and the AMA NGPC (formerly known as Big 6 GP) have their opening rounds on the same weekend about 150 miles apart. WORCS will have its first race under new management at Primm Nevada. 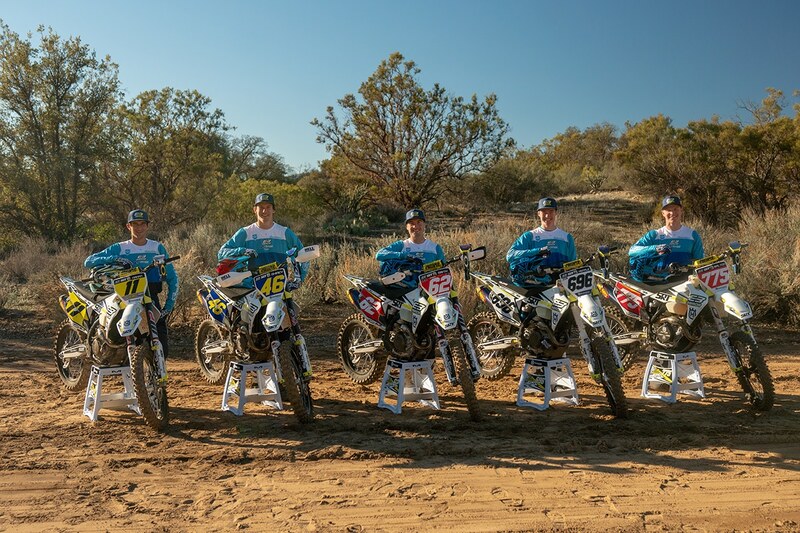 Some of the pros slated to go there are the Precision Concept Chaparral Kawasaki team with Zach Bell, Blayne Thompson and Clay Hengeveld, as well as Red Bull KTM rider Taylor Robert. Adelanto will have JCR’s Trevor Stewart. The 3Bros team shown below will divide Dalton Shirey, Noah Kepple, Ryan Smith, Austin Walton and Ciaran Naran between those two venues and National Hare & Hound. Team 3Bros KTM for 2019. When trying to stretch your dollar a little further when modifying your bike, one of the best things you can do is replace your stock piston with a Pro Circuit High-Compression Piston. Manufactured by JE Pistons to our exact specifications, each piston is CNC machined from aircraft quality aluminum alloy and uses the most advanced technology available. The result….a SIGNIFICANT gain in the low-end torque and high-RPM performance. 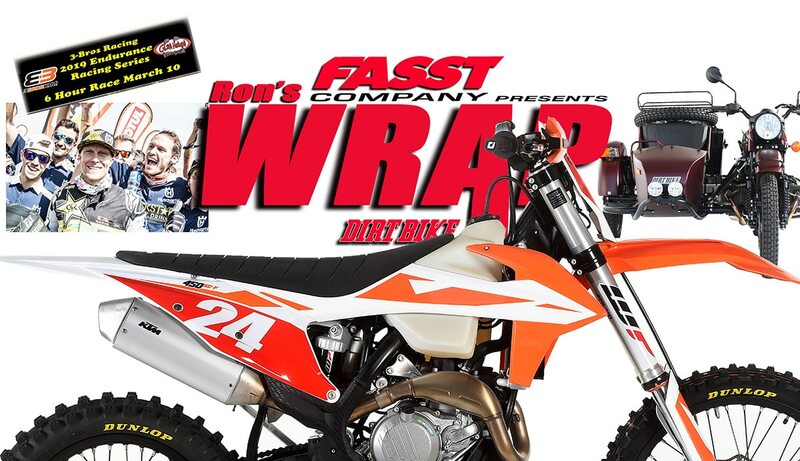 Pro Circuit’s latest release after tireless R&D is for the 2019 Honda CRF450. You’ll notice more than a few extra horses with the turn of the throttle. 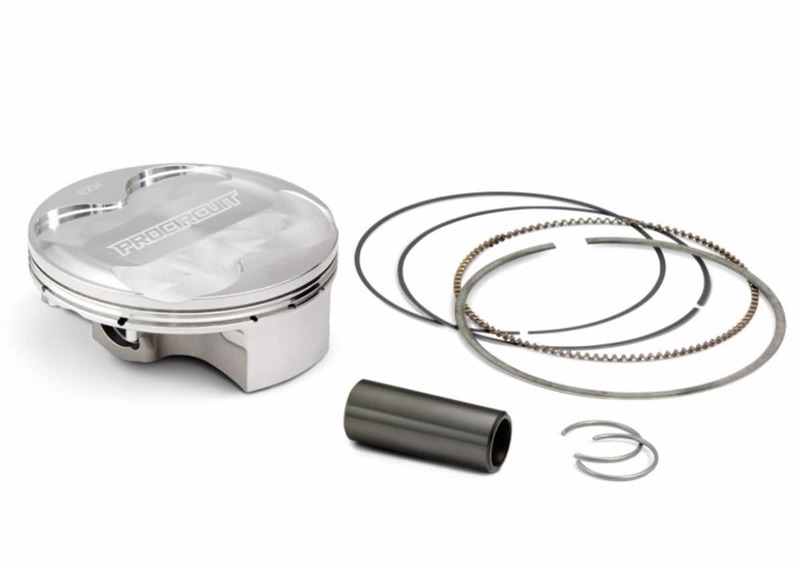 The new Honda CRF450 piston kit comes with a piston, rings, coated wrist and circlips, and is available for $399.95. For more information on the Pro Circuit CRF450 piston, click here.